Samsung SL-M3820 has a maximum printing speed of 38 pages per minute. It delivers the first print in 6.5 seconds. The laser printer has a maximum duty cycle of 80000 pages per month. It is equipped with a maximum printing resolution of 1200 x 1200 dpi and a print resolution technology of ReCP. It works with language simulations such as SPL, PCL5, PCL6, PS3, as well as PDF V1.7. The unit is backed by a processor of 600 MHz clock speed. It has a mobile capability that includes Apple AirPrint, Mopria, Mobile Apps, Samsung Cloud Print, Google Cloud Print, and PrinterOn Print. Samsung SL-M3820 supports network printing with a 10/100 Base-TX Ethernet and an auto-crossover Ethernet. Its connectivity is supported by a Hi-Speed USB 2.0 port and a Fast Ethernet 10/100 Base-TX network port. The unit is compatible with MS Windows XP (32/64 bit), 2003 Server (32/64 bit), Vista (32/64 bit), 2008 server (32/64 bit), 7 (32/64 bit), 2008 Server R2, 10 (32/64 bit), 2012 Server, as well as 2016 Server. 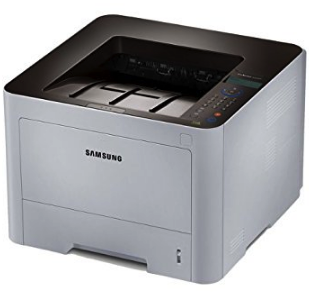 Samsung SL-M3820 handles media through an output bin of 150 sheets capacity, a multipurpose tray of 50 sheets capacity, and an input tray of 250 sheets capacity. If you want to download a driver or software for Samsung SL-M3820, you must click on download links that we have provided in this table below. If you find any broken link or some problem with this printer please contact our team by using the contact form that we have provided. After the download complete, you can do process to install the Samsung SL-M3820 driver on your computer. Find out where the downloaded file has been saved. And click A driver file’s name usually ends with "exe" extension. The second step, you can right-click on it then choose “Run as Administrator” or just either double-click on it. Then wait a few seconds while the Samsung SL-M3820 driver file extracted. After the extraction completed, then go to the next step. The process of installation may begin at the time when you followed all of the instructions shown on your device screen. You must follow all of the instructions to install the driver on your device correctly. After following three steps above the Samsung SL-M3820 printer is ready to use. Click Start menu on your device. All of the applications installed on your device will be shown. Find the Samsung SL-M3820 driver. You may either input the name of the program on the available search bar. The last steps, just Double-click on the Samsung SL-M3820 and click “Uninstall/Change”. And then, keep following the instructions will show pop up on the screen correctly.